Which teams have had grand-slam type seasons and which have struck-out? With the Major League Baseball regular season quickly winding down, now is a good time to recap the season thus far and get fans up to speed for the start of the playoffs. There have been many surprises this year, from up and coming teams to outstanding individual performances. One of the biggest surprises (to some) was the resurgence of the Chicago Cubs, a team that has been the basement dwellers of the National League (NL) Central for many years. However, with the players and prospects they had acquired in the recent years, such as Kris Bryant who has put in excellent performances in clutch games, the Cubs have become a playoff contender. Although they are not in the running to take the division title thanks to the always elite, St. Louis Cardinals, the Cubs could be a very scary team to face in the Wild Card game. While we are handing out praise to teams that have sprung back to life, it is only fair to mention the Texas Rangers, who seemed to have found their swing this year. Casual baseball fans may remember the Rangers as the team contending for the World Series seemingly every year but falling short each time. The past few years have been a different story entirely for Texas, not only did they miss the playoffs the last two years, the Rangers finished dead last in their division in 2014. However, under manager, Jeff Banister, Texas has climbed back to relevancy and leads the American League (AL) West after a key sweep over division rivals the Houston Astros. The fans of the Toronto Blue Jays have been waiting years for a successful season, a season that could see them contending in the playoffs. Well, this may just be the year the fans have been wishing for. 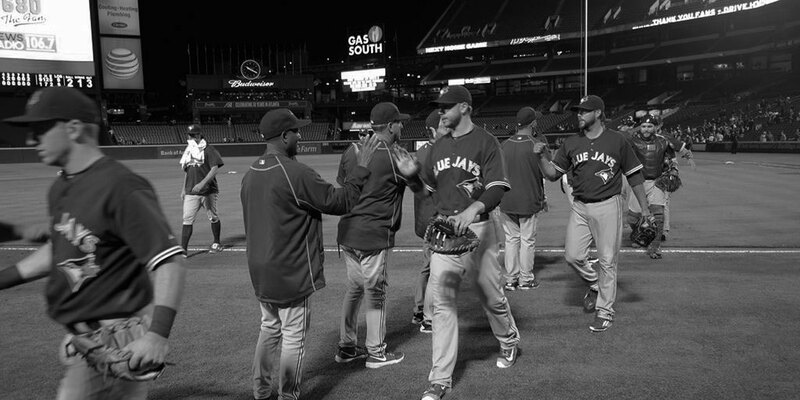 The Blue Jays have the baseball world paying attention to what is happening with the sole Canadian team. Toronto has been a real thorn in the Yankees side this year as the Bronx Bombers have been desperately trying to catch the Jays in the standings for weeks to no avail. Key performers such as, Josh Donaldson and mid-season acquisition David Price have the Jays battling for a spot at the top of not only the AL East, but the AL as a whole. It would take catastrophic events for the Blue Jays not to make the playoffs, so fans of Toronto should prepare for some fall baseball. With praise comes criticism, and the first team on the list of disappointments are the Boston Red Sox. The Red Sox aren’t exactly stacked with all-stars like they have been in the past; nevertheless they have their fair share of talent. Boston made headlines earlier in the year when they added Pablo Sandoval, a player that was surely going to help them continue to be contenders in the AL East and dominate rivals the New York Yankees. That has been far from the case this season, sitting at the bottom of the division with the Tampa Bay Rays. Most reasonable people would argue, that simply isn’t good enough for a team with the fourth highest payroll in the league. That’s right; the Boston Red Sox are paying $166,770,400 (USD) for a team that struggles to hold a .500 record. Fans might want a bit more especially when Pablo Sandoval earns $17,000,000 (USD); David Ortiz collects $16,000,000 (USD) and Hanley Ramirez is picking up $19,000,000 (USD). The Detroit Tigers are in no position to judge the Red Sox as they are next on the disappointment list. The Tigers, like the Red Sox, are bottom of their division, but it goes a step further for Detroit. The Tigers own the third highest payroll, shelling out $173,306,250 (USD). Currently sitting more than 10 games below .500, Detroit has truly had a write-off year. With a year as disastrous as the one the Tigers are having, star players are going to be scrutinized more than others. In this case it is hard not to look at Justin Verlander, a pitcher who at times shows potential to rival Clayton Kershaw as the best pitcher in the league. Verlander’s 3-8 record and 3.51 Earned Run Average (ERA) this year, somehow just doesn’t represent his $28,000,000 salary. Moving to the notable players this year, Bryce Harper’s potential NL MVP season has to be mentioned. Harper came into the league as a first overall draft pick of the Washington Nationals in 2010 as a teenager, and he brought a lot of hype with him. This season Harper is living up to all those expectations, as he leads the league in batting average (.340) and the NL in homeruns (40). Speaking of MVP candidates, Yoenis Cespedes could be breathing down Harper’s neck in the most valuable race, at least in the eyes of some. The once Oakland Athletic has surprising bounced around teams and has recently landed on the New York Mets. Cespedes, known for his powerful arm and swing has not disappointed, as he holds a batting average of a little under .300 and 35 home runs. Cespedes has made it known that he is looking for a long term contract of at least six years, more than likely to increase his chances of staying with one team for the foreseeable future. With the numbers the center fielder has put up the past three years, a six or more year contract may not be too much to ask. Switching over to the pitchers, all eyes seem to be on Chicago Cubs starter, Jake Arrieta. The Missouri native is fighting to become the first pitcher in the league to 20 wins, whilst sporting an impressive 1.96 ERA and a 0.92 walks plus hits per inning pitched (WHIP). Manager, Joe Maddon must be over the moon with the one-two combo of Arrieta and Jon Lester heading into the playoffs. The MLB post-season comes with its own set of surprises, and any fan knows that although there may be favourites, nothing is a sure thing. The 2015 post-season will surely bring an excitement that no ball fan can resist. As the leaves begin to turn a golden brown and gradually fall, teams will be slugging it out under the bright lights in the attempt to be crowned the kings of fall. What’s in our gym bags?